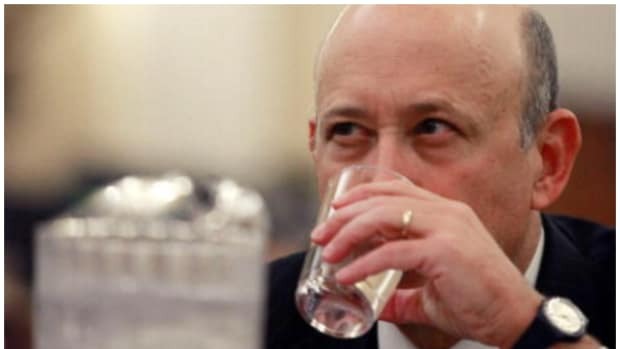 The Wall Street Journal&apos;s influential Heard on The Street column calls Goldman Sachs "pricey compared with other Wall Street securities firms" and predicts After that Goldman&apos;s long run of climbing earnings may be coming to and end. The M&A slow down, so carefully documented in our weekly M&A wrap-up, should hurt revenues from fees while exposure to leveraged loans may drag down profits. "Goldman could post in mid-March its smallest quarterly profit in three years," HotS writes. Analysts have been hammering away at Goldman for the last few weeks, predicting a climb down from its elevated status on Wall Street. While no-one thinks we&apos;re going to have a surprise subprime write-down, many think the widening credit market crisis is finally about to take a piece out of the Goldman Sachs money mint. So do the analysts and HotS have it right? Or does Goldman have yet another surprise up its sleeve, like when they revealed they had gone short subprime and made a bundle? Over to the right, at the top of the center column, we&apos;ve created a poll for you to cast your vote. Goldman: long or short? You decide.